We’re currently working with United Utilities to deliver West Cumbria’s demand for water in the best possible way, balancing the needs of people whilst protecting the sensitive natural environment. West Cumbria needs a new water supply fit for the twenty first century. A changing climate and continued population growth is putting increasing pressure on water resources and quality across the country and these pressures are likely to increase in the future. 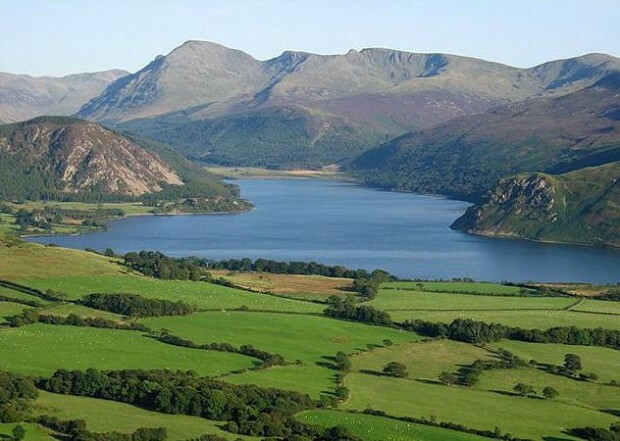 Ennerdale - a lake in West Cumbria - has been used as a source of drinking water for over 100 years. The amount of water United Utilities takes from Ennerdale has gradually reduced over the last 20 years but is still too high. It causes damage to the environment and it is not resilient enough to periods of dry weather to ensure consistent supplies. United Utilities’ plans to supply West Cumbria with water piped from Thirlmere reservoir in the central Lake District will solve this problem by ensuring a more resilient water supply for the area, enable growth, and help protect the environment by allowing the Environment Agency to revoke the environmentally damaging abstraction licence at Ennerdale. Finding an alternative source of water will bring real environmental benefits to this unique natural environment, and help protect the important species that live there. In the River Ehen, the endangered freshwater mussel population is in decline and while we’re working with United Utilities to be able to stop the abstraction from Ennerdale that’s damaging their habitat, we are doing work to compensate for the damage until then. United Utilities pipeline project is a huge scheme crossing through some of Cumbria’s other protected areas so we’re working with the water company to ensure other habitats aren’t damaged in the process. This won’t just help the mussels though – once the pipeline is in place, abstraction can stop at other sites too, helping protect other beautiful parts of Cumbria. Fish should also be happier, as infrastructure that fish don’t like to cross, such as wiers, can be removed to help boost fish populations. At Ennerdale, eventually the weir will be removed and the lake and upper Ehen can return, after over 100 years, to their natural state. It really will be Wild at Ennerdale. It’s not just the environment that will benefit though. The pipeline project will ensure a more resilient water supply for the area and growth won’t be restricted. New homes and businesses in West Cumbria will be able to have secure supply of water that previously may not have been possible. Whilst most people wish for long hot dry summers, I know that West Cumbria currently relies heavily on getting plenty of rain regularly, and mostly it does. But Ennerdale supplies 67,000 people and the lake level can drop quickly. We work with United Utilities when the forecast turns dry, to ensure their plans are in place to ensure people continue to get enough water – which may mean tankering extra water to the area or asking people not to use their hose pipes. Once the Thirlmere pipeline is in place, we won’t have to worry so often. I’m so proud to play a part in all the work to protect and improve the water environment in West Cumbria. It’s a magnificent place already, and knowing that we’re helping to keep it that way, and improve it, for people to enjoy now and in the future is a great reason to go to work in the morning! Jen Hall is a Project Manager at the Environment Agency working as part of the Environment Programme team in Cumbria and Lancashire. She’s been working on West Cumbria water resources since 2013. Jen works closely with United Utilities, other partners, and the community to ensure we continue to protect the unique and beautiful landscape in the Lake District and West Cumbria. Interesting is this article and with an unlikely population boom in the area it seems to me there is no need for change. If you also remove the weir at the river ehen side of the lake will this not lower the level of the lake and do more damage to the fresh water muscles ! Also would this take away the infrastructure if the need was to supply more water to the area. With no water been taken from ennerdale water would this now put the town of Egremont with the climate change under threat of flooding more often ! What a load of garbage. What are more important, Mussels or people. I'm my lifetime I can only remember one severe drought requiring restrictions and pumping from the lake. Ennerdale is wild enough at present and the Mussels will survive whatever as they have since the weir at Enneradale was first installed and thousands of years prior to that. The EA should have more concern for people currently been poisoned by water taken from boreholes contaminated with who knows what. If there is no other way plan it so we stay on Ennerdale water until the pipeline is built and then switch us. Not switch us then build the pipeline. Where's the hard data Jen? A good story with absolutely no science behind it. Please don't treat West Cumbrians with disdain and tell us the maths, give us the research details, what are your sources? Do we need to FOI you? I live in cleator moor and walk every inch of ennerdale valley which is really beautiful .. But the story of pipe line to help muscles is a bit far fetched have in past as a boy cooked and eaten the muscles further down the river at what's known as sandy bottom area of the river . on the river banks. Is the main reason for the pipeline not for the possible new builds at sellafield ? As for removing the wear which I tried to find out when it was actually build . And come across this page . Out to a distance of approximately 200 mtrs if that wear goes that lake will look a total eyesore. These mounds as well as you see the one island will be seen in any kind of drought or dry spell has anyone ever put a camera in the lake and looked into this . Can you answer please when was the wear built in the lake and when was the shaft sunk in the lake that feeds water to the new pump house. As I also met up with the team that sunk the shaft on a sit in muselbrough Scotland last year also. Yours john. Please can you reply jen..